Chris and Tash are two lifelong friends from Rush, Co. Dublin. 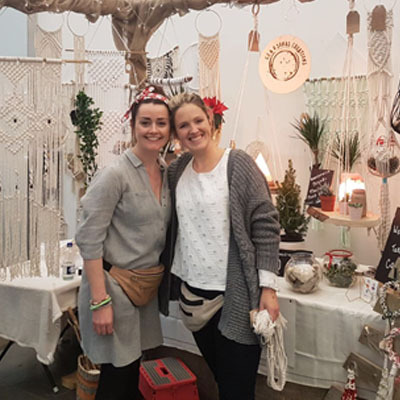 After discovering macramé we immediately fell in love with this wonderful and versatile craft and decided to go into business together. It allows us to express our own creativity in many different ways. 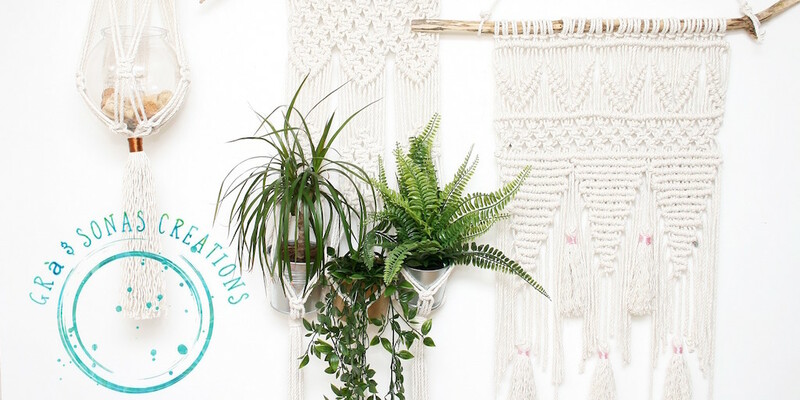 We have a beautiful selection of macrame plant hangers. Created using different types of cords and colours. A must for presenting your beloved plants naturally and attractively. 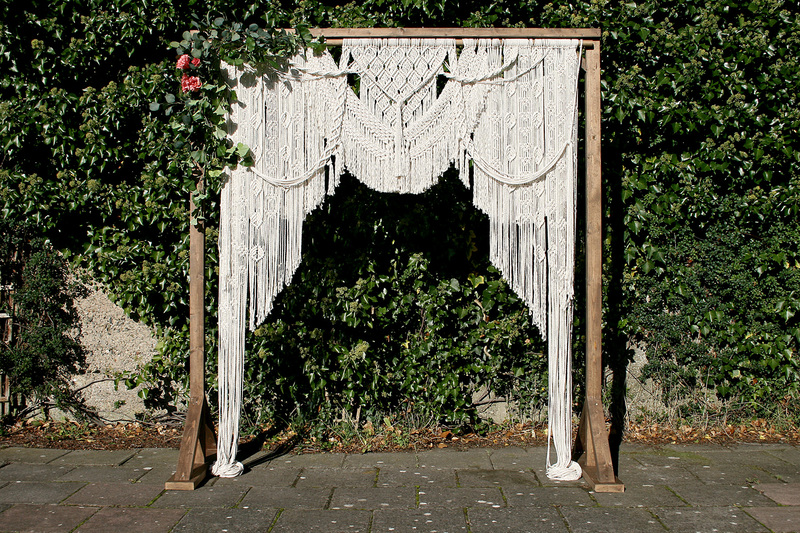 Our variety of hand-crafted modern macrame wall hangings are made using simple and elegant designs. They are created using a soft, natural, 100% cotton rope featuring locally sourced driftwood, beads and brass hoops. 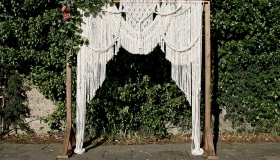 We also create stunning wedding arches and decor. We thrive on new creative projects and working alongside other people to help bring their ideas to reality so please don’t hesitate to come to our stall and have a chat with us. Grá Agus Sonas Creations means ‘Love and Happiness’ in Irish and takes its origin from words that mean the most to us. 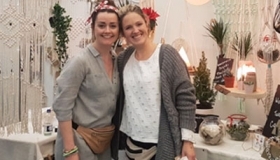 It also represents how we feel creating these individual pieces and what we want our customers to experience when they hang their very own Grá agus Sonas Creation.